More work remains, but Seattle reached an important milestone this week when its police department was found to have substantially reformed and ended unconstitutional and excessively forceful practices. Seattle crossed an important threshold this week when a federal judge determined that its police department was greatly improved and in compliance with its 2012 consent decree. This offers Seattle a fresh start, just as its new mayor begins the process of hiring a new police chief. 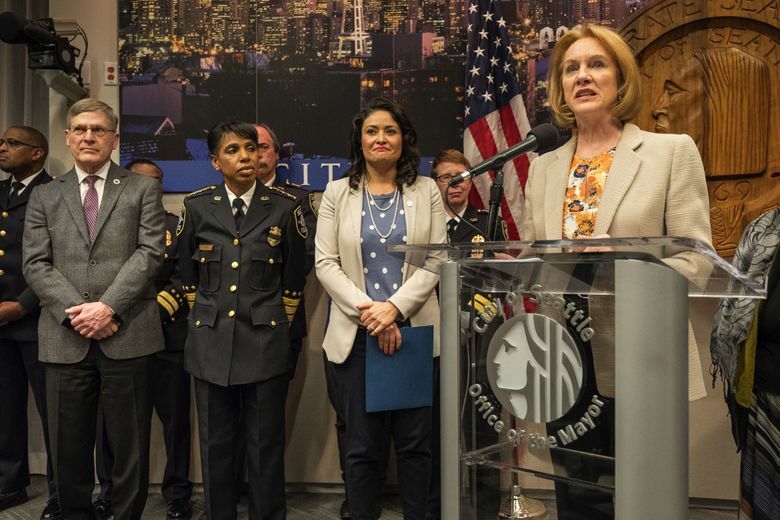 With the cloud of federal oversight clearing, Mayor Jenny Durkan, who played a role in pushing the reforms as a U.S. attorney, remains strongly committed to reforms. She now will have a better chance of attracting the best candidates. Most important, Seattle’s progress proves that reforms and training to reduce police use of force are effective and don’t compromise public safety. Seattle is the latest and largest city to reach compliance with Obama-era consent decrees in 15 cities across the country. The positive outcome sends a strong message to a Trump administration that appears less inclined to confront troubled police departments. Seattle police aren’t completely in the clear. Federal oversight will continue for two years to ensure reforms are sustained and that a list of remaining concerns is addressed. Those concerns are significant. They include assurance that tragic incidents such as the shooting death of Charleena Lyles aren’t indicative of any systemic problems with use-of-force during crisis intervention. The city and police officers’ union must also agree to a contract that incorporates the reforms, without the public having to pay extra for constitutional policing. These are surmountable problems, especially now that core issues are largely addressed and a strong foundation of training is in place. Statistics cited by U.S. District Judge James Robart, in his finding of initial compliance, quantify the improvement. Over a two-year study period from 2015 to 2017, overall use of force decreased 11 percent. Compared to the 2009-2011 period preceding the consent decree, the use of higher-level, serious force fell 60 percent. Yet crime rates remained essentially flat. Police were dispatched to 760,000 incidents during the study period. They used force just under 2,400 times, or less than 0.5 percent, and 80 percent of those involved low-level force. Having reached this milestone, Seattle and its police can proceed in a more normal fashion. Changes can be made to the department for their own sake and evaluated on their own merits, not through the lens of the decree. “The training wheels are off,” Durkan said. The to-do list must include public concerns about safety and civility downtown and property crime in neighborhoods. Plans to hire 200 additional officers and increase community-oriented “beat” cops should help. Local accountability should also improve. City officials can no longer use the cost and distraction of the consent decree as excuses for performance issues. The ruling validates the work of advocacy groups, particularly the American Civil Liberties Union, that rightly called for a civil-rights investigation into the department’s treatment of minorities and misuse of force nearly a decade ago. That prompted a Department of Justice investigation in 2011, back when that agency had its priorities straight. It found Seattle police engaged in a pattern of violating constitutional rights by using excessive force, attributed in part to weak oversight within the department. After sparring with then-Mayor Mike McGinn, the DOJ and city reached the consent decree in 2012. It mandated reforms and federal oversight to ensure their completion. As U.S. attorney in Seattle at the time, Durkan negotiated the agreement for the DOJ. All members of the community should be reassured that Durkan is now mayor and invested in maintaining compliance and the higher performance that it represents. Judge Robart also deserves kudos for his firm and persistent oversight. Credit is also now due to police department employees at all levels. They worked hard to transform the force into a model of constitutional policing. Still, disproportionate treatment by law-enforcement across the United States remains a critical problem. Police in Seattle and elsewhere must continue building trust throughout their communities, and every department must modernize its use-of-force training and policies. But this milestone and the efforts of all involved should be appreciated. In Seattle and beyond, this demonstrates that unconstitutional policing and excessive force can be addressed with reforms and training, without compromising public safety and law enforcement.